How's he going about it? So... this time tomorrow, we know whether Steve from Maddington is #Perth's newest millionaire. This morning, he was flanked by his twin sister Ann, and revealed how he's going to choose his song tomorrow. Except one... one will have the magic words $2 Million Dollars. Will Steve pick the magic song? God we hope so. Seeing Steve is a massive Eagles fan, maybe he should go #3? 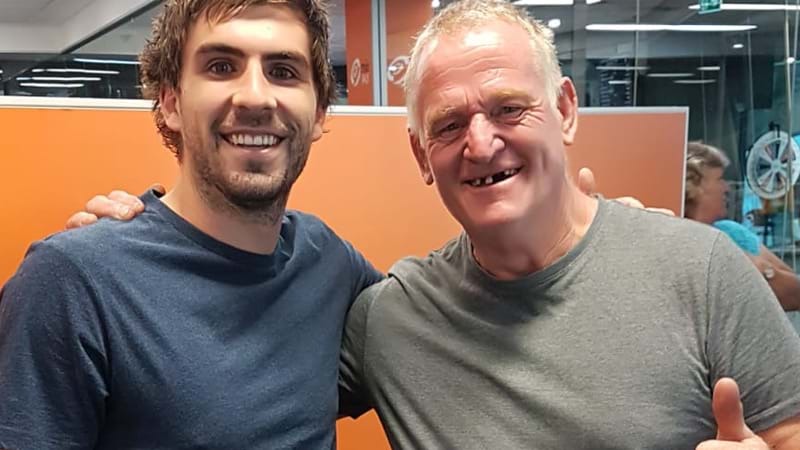 If his magic pic with Andrew Gaff is anything to go by. Tune in from 8am tomorrow.